Apple’s pre-WWDC surprise announcement of changes to the App Store’s subscription policy has left a lot of questions in the air. We have answers for many. Update: This article was updated with additional information from Apple clarifying that apps approved to offer subscriptions do not need to be useful or perform any function when a subscription isn’t active. On June 13, it was updated to reflect revisions posted to Apple’s App Store Review Guidelines. Seemingly out of nowhere, Apple’s senior vice president of worldwide marketing, Phil Schiller, gave interviews to several news outlets about significant changes to certain App Store policies around subscriptions—notably letting all apps potentially offer automatically renewing subscriptions. The company followed up with a page on its developer site describing what’s coming. On June 13, it updated its App Store Review Guidelines to make it clearer what kinds of apps qualify. This update might have far-reaching effects, or they might fizzle. For current owners of apps that implement changes and future buyers of apps with subscriptions, how does this affect you? We have answers to many questions, and we’re stil looking for more. Any app can be developed or redesigned to use auto-renewing subscriptions, but Apple will only approve that “make sense,” in its words. Developers can price subscriptions at any of 200 different fixed price points, dramatically more options than before. 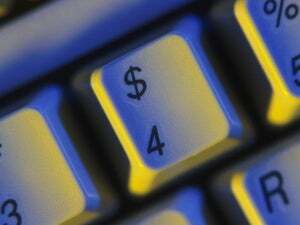 Developers can charge different rates in different territories. Apps can offer not just different durations of subscriptions, but also different tiers, like standard, extra, and premium. Apps can have multiple non-overlapping subscriptions for different features or services. Subscription prices can change, and developers can choose to grandfather your existing price or inform you of an increase. Will all apps suddenly switch from an App Store purchase or using in-app purchases (IAPs) to subscriptions? Goodness, we hope not! An Apple spokesperson notes that subscriptions will only fit certain business models, and we agree. Many apps already have consumable purchases: an item you buy that lasts for a certain period of time, but isn’t renewed, like a three-month VPN subscription. The app developer has to warn you of the expiration, you have to make a new purchase to continue using it, and neither you nor the maker gets the advantage of seamless, continuous access. We wager most of these will likely convert to IAP subscriptions. 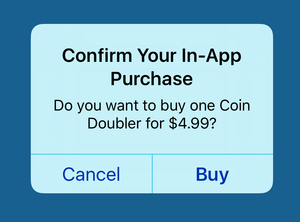 Perhaps we’ll see a new trend toward in-app subscriptions instead of one-time in-app purchases. Some developers may have avoided adding features to their apps that required ongoing expense on their part, whether for server use or storage or in development time, without being able to rely on a predictable, consistent income stream. 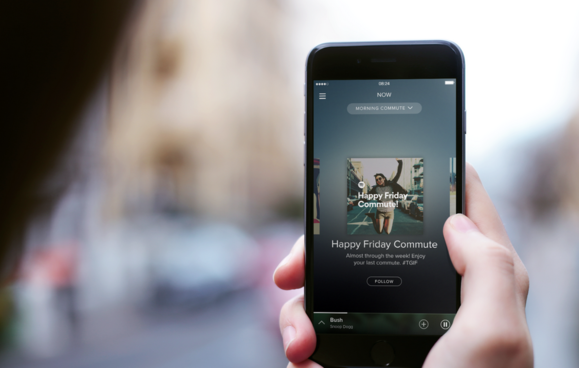 This could give those apps an incentive to add new features or expand limited ones. What kinds of apps will choose subscription models? Anything that requires per-user commitment of cloud-based servers or storage seem likely. So a photo site that today would require you subscribe on its website to pay for storage and then log in via its iOS app could also allow a subscription directly within the app. Apple’s Schiller gave the example of enterprise apps, which are continuously developed with new features rolling out. 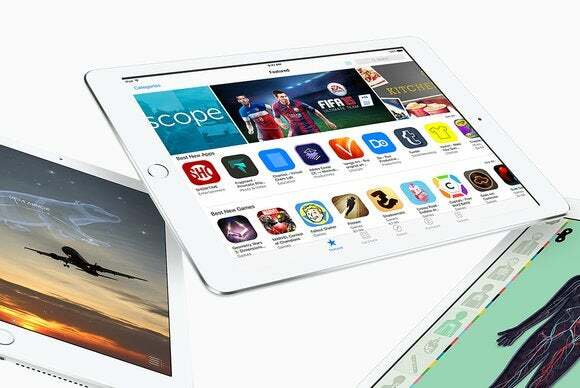 An Apple spokesperson confirmed that apps will be approved that rely entirely on subscription features to provide functionality. This is in contrast to the policy for non-subscription apps, which have to be useful on their own merits when downloaded before any IAPs are purchased. The App Store Review Guidelines, updated June 13, also now list productivity, professional creative, dating, dieting, and weather as example categories and types, but not as a complete enumeration. Some apps might opt to switch to continuous development, releasing minor and major app upgrades under the same app name, instead of the pseudo-upgrade process used today of releasing major upgrades as effectively a new, separate app. This would allow you to pay on an ongoing basis for apps you use all the time, or pay on demand to use apps just when you need them, canceling the renewal when you’re done. It might provide a way for otherwise expensive apps to offer limited time usage, much as Adobe does with its Creative Cloud subscriptions, which can be for as little as one month. If a developer raises the price for a subscription I have, do I automatically start paying more? Developers can now opt to let existing users keep the price they are paying for as long as they keep the same tier of subscription. Or they can decide to raise the price for everyone. If a developer grandfathers older pricing for existing users, you’ll pay that rate indefinitely unless you upgrade, downgrade, or crossgrade (to a different set of options). Then you’ll pay whatever new users pay. However, if a developer raises the price for everyone, Apple will inform you. You can either turn down the price increase or perform a “pocket veto” by not responding at all, and the subscription ends at the completion of your current period. If you accept the new price, your subscription continues and you are charged the new price at your next renewal. If I stop paying for a subscription, does an app stop working? With current content-based subscriptions like Netflix, you can lose access when you stop paying. But some periodicals and other apps let you keep any content that was released during your subscription period and still use the app to read it, listen to it, or view it later, like with The New Yorker. With content library apps like Netflix, Hulu, and Apple Music, once you let your subscription lapse, you lose access to all the content. With periodical apps like magazines and newspapers, you get to keep the content you “bought” during the subscription period even after you stop paying. We wonder about other scenarios. How will that play out if you purchase a subscription that includes cloud storage associated with an app? Will it be deleted at the end of a subscription, rendered read-only, or available indefinitely but no new items can be created? What if you create locally stored documents using features in an app that were enabled only with a subscription? Will those documents be unreadable? We hope to find out, and we expect Apple will factor this into their review process and approvals. How will multiple subscription options be managed? Apple will now let developers have multiple subscriptions in one app. We could imagine an app that offers lessons to students that might have different levels and different subjects. So you could subscribe to math for grade 2, science for grade 5, and music theory for grade 12. Apple tells developers they can set up subscription groups so that someone can’t accidentally pay for a piece (like grade 2 math) and a larger encompassing subscription (like all subjects for grade 2). What happens to apps I’ve purchased if they switch to a subscription model? Your guess is as good as ours. We expect Apple will enforce some kind of parity-with-what-you-paid-for policy. A developer might stop putting new features into an existing app, and release a new app that’s rejiggered around subscriptions, and you’ll ostensibly have no recourse. 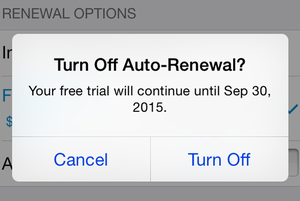 Does this change allow apps to offer a free trial? Sort of. Apple lets developers optionally offer a free trial for in-app purchase subscriptions, which range from 7 days for a one-month recurring subscription to one month for a one-year term. If an app requires a subscription to use at all, then a free trial of the subscription effectively translates to a free trial of the app. An app that has some features and sells the rest with subscription can also offer a free trial just of those added options. However, most apps will remain free or sold for a fee with or without IAPs, and work under the old rules, which don’t allow trials and demo versions. Apple will allow developers to offer trial subscriptions, just like Apple has for Apple Music. 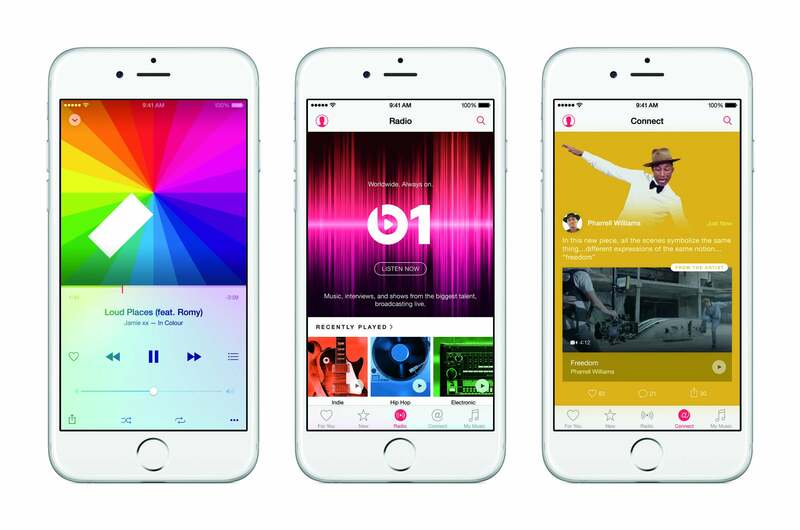 Is Apple allowing demo versions of apps? No. Apps with subscriptions have to work with all features available during a free trial or when someone is paying. It’s possible Apple would approve a subscription-based app that had very minimal features outside the subscription purchase, but it seems unlikely given the company’s general policies. Does this provide an upgrade path for developers? If app makers have an app approved in which all the functionality is available only by subscription, then some could switch to subscriptions effectively covering upgrade costs—you just buy in at any time to get the current set of features. Apple is charging a smaller fee to developers after I subscribe for a year. Will I see lower prices? It’s very unlikely. While existing apps with subscriptions will see the benefit of the drop from 30 percent charged for subscribers during their first year to 15 percent thereafter, apps that switch to this model have a full year from whenever they start down that path until they get the additional revenue. Spotify currently charges $3 more per month if you sign up inside the app, rather than via Spotify’s site. Will that “Apple tax” go away when Apple adjusts its commission? Maybe, maybe not. And many of the likeliest apps to use subscriptions often offer a subscription on their own sites or via native desktop apps, for which they pay as little as 3 or 4 percent for credit-card processing, instead of the full Apple commission.